Urbaser’s governance is guided by the principles of decision-making process efficiency, effectiveness, and transparency in order to contribute to the company’s sustainable growth and profitability. Ethical company culture with good governance and transparent management is best reflected in Urbaser’s years-long history of growth. The General Meeting is the body that represents shareholders, making decisions on topics that are within their powers according to the Company’s Articles of Association. The Company’s legal and extrajudicial representation. Management and administration of all matters concerning the Company’s corporate objective, as well as its assets and businesses. 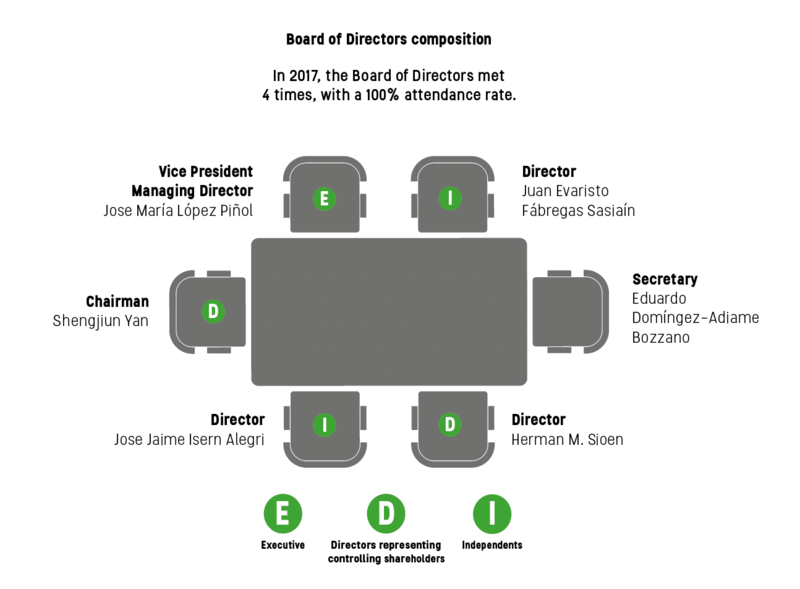 URBASER‘s President is chosen by the Board of Directors, with its members representing the Company. Direction and management of daily matters, direction, coordination, and control of the activities carried out by the personnel under their supervision. Adopting and implementing operational, strategic, organisational, and management decisions. Audit Control and Management’s main function is to provide support to the Board of Directors in terms of their general risk surveillance, supervision, monitoring, and mitigation content, as well as the company’s internal auditing services. Urbaser’s Risk Management Policy/Standard includes the Corporate Governance risk management process in terms of organisation, planning and strategy, management, corporate policies, values, and ethical culture. These include the definition of the strategy and appetite for risk, functional segregation of risk takers or managing departments, and ‘zero tolerance’ towards the encouragement of illegal acts. 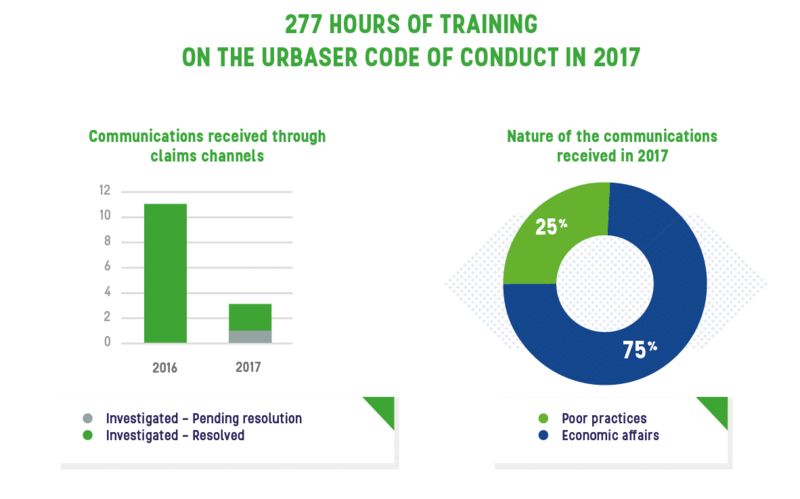 Urbaser has an Code of ethics that establishes the principles for action that govern relationships between Urbaser employees and its stakeholders. Compliance with the ethics principles presented in the Code is compulsory, affecting all Group company administrators, directors, and employees. Employees can use the Ethical Channel for notifications relating to compliance with ethics principles with this link: canaletico@urbaser.com. The company also has a Crime Prevention and Response Manual, which is a structured control system meant to mitigate the risk of crimes being committed that can lead to criminal responsibility for legal entities.